“Krysha” (or “krisha”) in Russia means “roof” or “cover”. The term born in the 1990s when the rule of law was weak and racketeers protected vulnerable entrepreneurs from other gangsters for a fee or a share of its gain. Later, central or local government officials started "covering" business themselves. Historically, whenever crime bosses amass a particular influence in a society, they try to legalise themselves – through business by buying up shares in large firms under a false name, or through politics by standing for public office or holding positions in the bureaucracy. Same is in Kyrgyzstan. In some sense, modern Kyrgyzstan reminds the crime-vested Russia of the early 2000s, when powerful criminal syndicates were looking for ways to legalise the immense wealth they had accumulated. Today, there are a number of former criminal “big shots” in the Kyrgyz Parliament who hold very revealing nicknames. Among them, for instance, is 45-year-old Altynbek Sulaimanov, nicknamed “Jaw”, the leader of the “Bir-Bol” political party and the corresponding parliamentary group; the widely-known 40-year-old Ulan Cholponbayev, nicknamed “Hop”, of the political group “Respublika – Ata Jurt” and the 51-year-old former customs officer Taalaibek Masabirov who is currently a member of the “Kyrgyzstan” political group and went by the nickname “Massa”. At his time, Cholponbayev was working as a sort of debt collector of the organised crime that "taxed" businesses. In 2011, the politician tweeted the traffic police caught him driving drunk and managed to walk free by flashing his parliamentary ID. A wave of outrage followed online, and Cholponbayev, in the end, said that his account had been “hacked”. 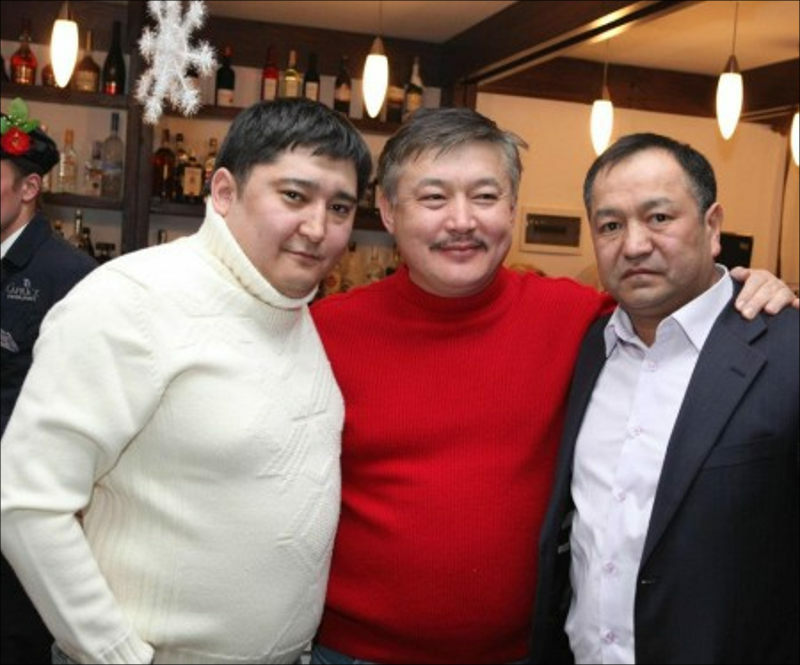 “Massa”, on the other hand, once entered the ranks of the well-known criminal group under Ryspek Akmatbayev, and according to investigators, engaged in small-scale extortion and guarded car parks. Masabirov was also the first Kyrgyz ever to win the Pankration championship and even twice the judo world championship in the master’s category. In his youth, he kidnapped the daughter of the speaker of the higher chamber of Parliament three times (then, Parliament was still bicameral) and in all three instances, she was brought back after the Speaker sent his people after “Massa”. But the fourth time, Masabirov managed to convince the girl to stay with him, so that her father, in the end, had no choice but to agree to the wedding. Afterwards began the comet-like career of „Massa“ among the ranks of the customs: within ten years he rose from the head of a small city branch to become the first deputy chair of the republic’s customs service before settling into a parliamentary seat in 2015. But the biggest fish among Kyrgyzstan is “vor-v-zakone” [Russian highest criminal rank literally meaning “thief-in-law”] is Kamchy Kolbayev, better known as Kolya the Kyrgyz. The entire criminal underworld of the country is under his control. Obviously, this would not be possible without the collaboration of the highest echelons of the Presidential Administration. According to investigators, presidential advisor Ikramjan Ilmiyanov, going by the nickname of “Chauffeur” when he was Atambayev’s driver before he became President, is managing the relationship with Kolya the Kyrgyz for the Head of State and is making decisions for him. Kolbayev has quite a few business interests in the ore mining and entertainment industries which are of course not registered in his name. The Blonder Pub in Bishkek, for instance, belongs to “Hop”. Let us then consider some concrete examples to see how criminal enterprises in Kyrgyzstan legalise in practice. Could you imagine that some celebrity start in a civilised country would publicly promote a syndicate leader and even express gratitude to him? What rarely seems, if ever, possible in a “normal” country is happening in plain sight in Kyrgyzstan. In the aftermath, social network users called Moldokmatova to stop pointing out the criminal background of the generous patron so as not to promote a questionable lifestyle. 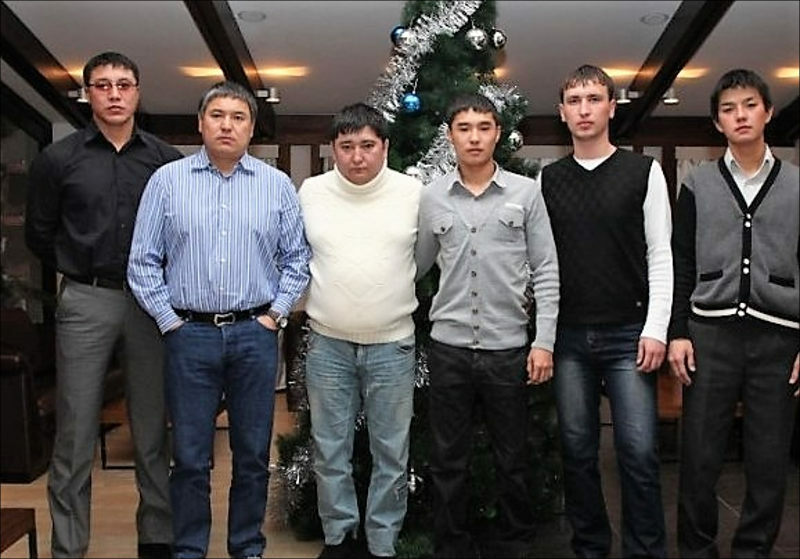 It is also possible that the promotion of the title “thief-in-law” was even a term for the Kolbayev’s donation. In the end, philistines even greeted this gesture as a generous act of an upright man who is not sparing his own money to promote sports in the country. The Achyk Sayasat Plus newspaper was writing in its July edition: "The famous TV-host Assol Moldokmatova has been doing charitable work for many years and has earned the gratitude of many people. Without a doubt, a good deed has been done and we wish good health to our athlete [kickboxer Kasymbekov] who is defending the honour of the Kyrgyz people. But to say that the operation “the ‘thief-in-law’ financed” is somehow strange to hear. But we have to thank Kamchy Kolbayev as well. It is not a small thing to return someone his health and happiness. Not everybody can do that. But what we actually care about is the question where the money for the medicine came from?" In 2013 Fergana reported in detail that leaders of criminal groups are joining political parties and becoming members of parliament. Since then, these criminal elements have penetrated the political system even further and have understood that instead of joining and financing someone's party, it is easier to found own movement to pursue personal interests completely legally. According to him, it is often people with previous convictions or others who are still involved in fraud, extortion or bribery that seek to enter local governing bodies. “They think that if they possess money, influence and connections, they can officially create their political party and participate in local elections,” stressed Professor Osmonaliev. One example of exactly such a political organisation is the "Tabylga“ party that Ulan Cholponbayev leads under the aegis of Kolbayev. It is a regional party from Issyk-Kul and consists mainly of local sportsmen (simply criminals). 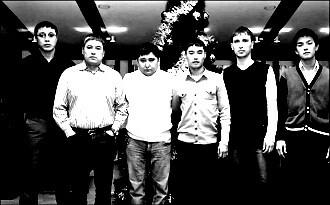 Kolbayev’s younger brother Zhaken oversaw both the kenesh elections in the city of Karakol in autumn and Cholpon-Ata in December 2016. In the end, “Tabylga” won first place both in Karakol with 28,5 percent, sweeping 12 out of 31 seats as well as in Cholpon-Ata, winning 27 percent of the vote and leaving all competitors behind. According to some media, “Tabylga” and its leader Ulan Cholponbayev are working to support presidential candidate Sooronbai Jeenbekov today. It appears that not only administrative but also criminal resources help to elevate the presidential candidate. Only the Almighty and the people involved know what strings and promises are attached to this arrangement. Ordinary citizens realise that it is more practical to turn to the criminal world to resolve any matter – especially since the government is doing the same. During the Presidency of Kurmanbek Bakiyev, it was apparent to everyone that the criminal underworld actively involved in Kyrgyzstan’s politics and asserted great influence on it. Today, experts say that these criminal structures are less involved in the medium-sized business sphere. This, however, has its roots in a completely different trend: in the past, drug trafficking and smuggling of goods and arms had been the main field of crime. Today, however, high government officials control the most lucrative black markets themselves. Semetei Talas Uulu, a journalist who specialises in Kyrgyz crime, believes that it is now very hard to find many high-ranking bureaucrats who are not in some way involved in organised crime. Officials can not only have some tea with ‘thieves-in-law’ in their dachas, but they can also acquire their crowd of ‘sportsmen’ who serve not only as bodyguards but also protect their business interests. And when there is an election coming up, they make sure the citizens vote the right way. The reality, then, gives rise to many questions. Why, for instance, is the deputy head of the Kyrgyz customs service, Raim Matraimov, building the largest sports club in the city of Osh? The life-long civil servant was not even hiding the construction site and was present during the opening ceremony of the complex. At that moment, not far from him Ikramjan Ilmiyanov stood – the “Chauffeur” mentioned earlier. When asked about what is the source of the money for the construction of a premium sports facility was coming from, the brother of the mentioned civil servant, Iskender Matraimov, who is himself a deputy for the Social Democratic Party of Kyrgyzstan, answered that it is a certain charitable fund that the family owns. The Matraimovs were allegedly contributing the basic capital stock of the project. Raim Matraimov is one of the most secretive officials in the country and has still not once neither given an interview to anyone nor made any public statements. Journalists and other sources say that he lives in the shadows. In 2011, an audio file appeared on the internet in which members of the interim government were discussing removal of Matraimov from his post of customs head for the southern region of the country. Furthermore, it was becoming clear from the conversation that Matraimov had paid $400,000 to keep his desk. If we can assume that he controls the smuggling routes going north from Afghanistan, then paying such a sum should really not have hurt him too much.